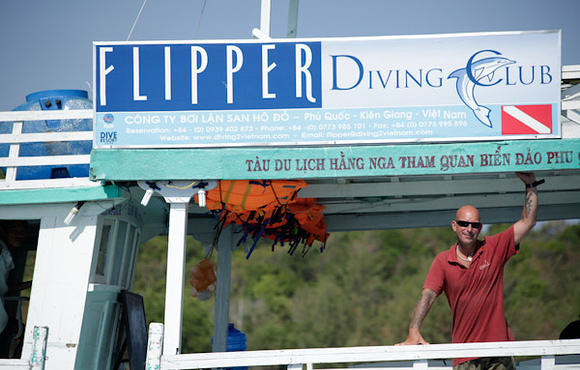 Dive Phu Quoc with Flipper Diving Club. 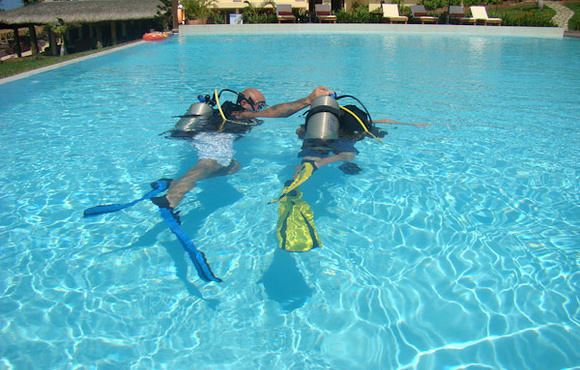 We are a PADI 5 Star Instructor Development Dive Resort with fully experienced and certified scuba diving staff. Our scuba diving team speak English, French, Dutch, German, Spanish, Russian, Swedish, Norwegian and Vietnamese. Our Diving Club has international scuba diving insurance for all our customers and each instructor carries additional scuba diving insurance. 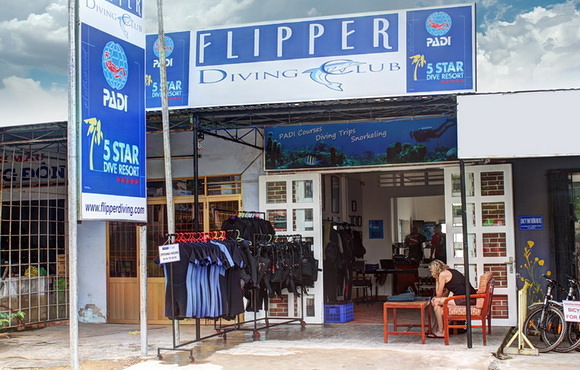 Flipper Diving Club is the longest established PADI 5 Star Instructor Development Dive Resort in phu quoc, and was established in 2009. 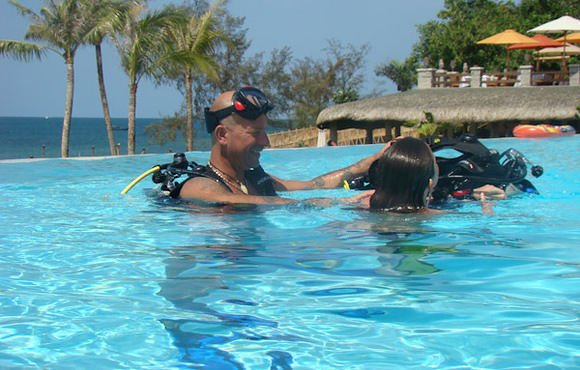 We offer daily dive trips and PADI Courses from Open Water Diver to PADI Instructor. Our main office is at 39 Tran Hung dao, duong Dong. For divers the true treasures around Phu Quoc Island are hidden below the surface where the panorama bursts into a virtual array of colours and corals. The warm, nutrient rich water draws vast schools of tropical fish. The diverse underwater scenery, and abundant marine life combined with good visibility will delight underwater photographers, marine naturalists and holiday makers alike. 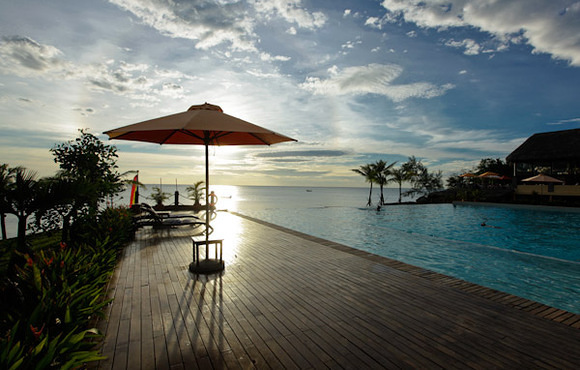 The calm and warm waters around Phu Quoc also make for a relaxing adventure for the experienced or first time diver and even people wishing to take advantage of the perfect snorkelling conditions.